The Depot Theatre announces the appointment of Kim Rielly as the organization’s new full-time Executive Director. Just in time for the organization’s 40th anniversary season, the board of trustees of the Depot Theatre in Westport, N.Y. announces the appointment of Kim Rielly as the organization’s new full-time Executive Director. A native of Westport, Kim is no stranger to the Depot, having lived in the region for the majority of her life and volunteered as a trustee of the Theatre. Most recently, she was the longtime Director of Communications for the Lake Placid-based Regional Office of Sustainable Tourism (ROOST) and her experience includes more than 20 years of marketing and communications. 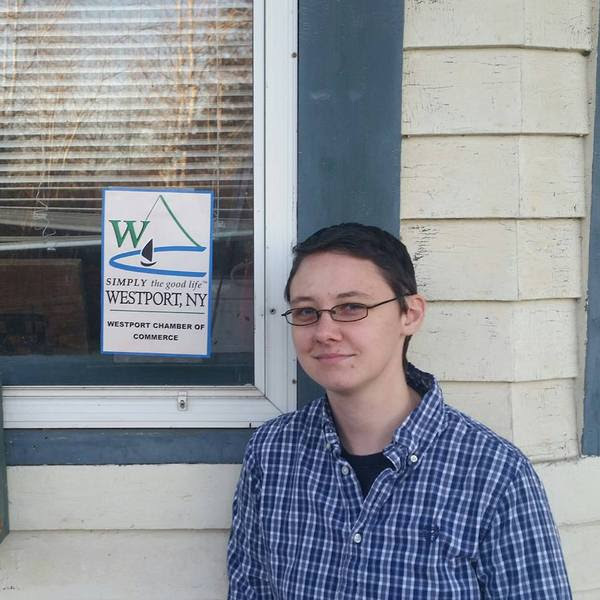 Rielly joins two other year-round staff, including Box Office Manager Katie Shepard, and the Theatre’s Producing Director, Kevin Cochran. Though she officially takes the helm in mid-November, both Kim and Kevin are already hard at work planning for the 40th Anniversary Season. Please join us in welcoming Kim. She is looking forward to meeting you and hearing from you about what makes the Depot Theatre such a special place. She can be reached by email at krielly@depottheatre.org. 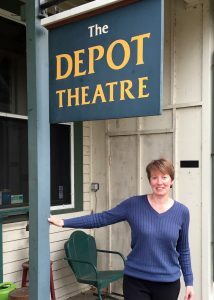 The Depot Theatre is a non-profit, professional theatre located in a historic, functioning 1876 train station in the Adirondacks, and operates under an agreement with Actors’ Equity Association. The Theatre offers 3-4 productions in the summer along with education programs. For more information about the Depot Theatre, visit depottheatre.org or call 518.962.4449. The Depot Theatre is a non-profit, professional theatre located in a historic, functioning 1876 train station in Westport, N.Y., and operates under an agreement with Actors’ Equity Association, the Union of Professional Actors and Stage Managers in the United States. In addition to its volunteer board of trustees, the theatre depends on the support and generosity of its loyal donors, volunteers and community members. Committed to promoting and providing exposure to the performing arts in the Adirondacks, the Depot Theatre invites all to “Take a journey without leaving the station.” Funding for the Depot Theatre is provided by the New York State Council on the Arts with the support of Governor Andrew Cuomo and the New York State Legislature. Additional support is provided by the Essex County Arts Council.